Bring out your lawn chairs, blankets, and picnic blankets for this Huntington Beach tradition. The HB Concert Band hosts a free eleven-week series featuring various music groups performing various styles of music. 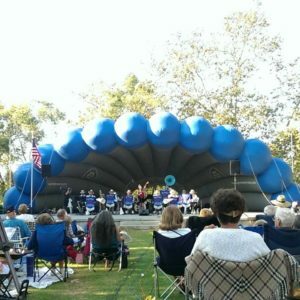 FOLLOW THE HB CONCERT BAND SUMMER SERIES CONCERTS ON FACEBOOK! * Free dance lessons preceding concerts. Wear your dancing shoes! Download HBCB Summer Series 2019 Flyer and share!